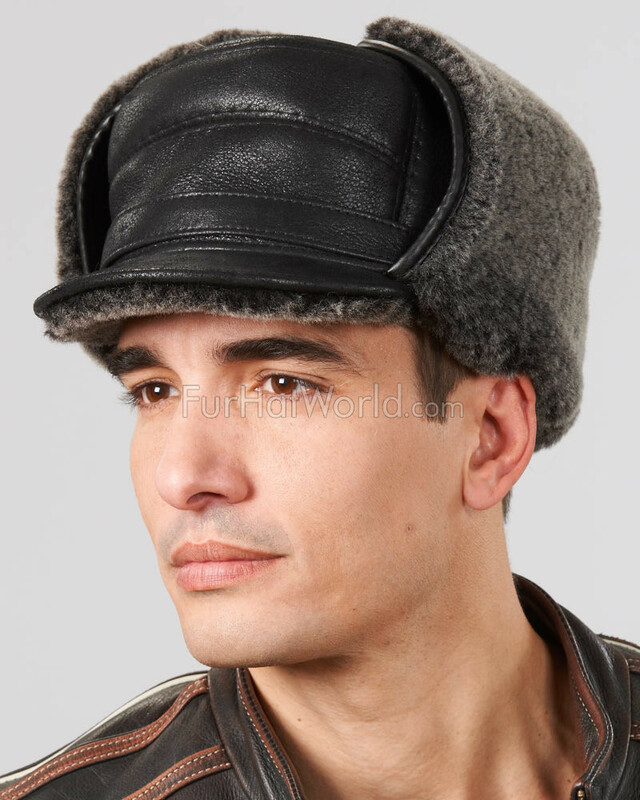 Shearling Sheepskin Captain Hat - Black. 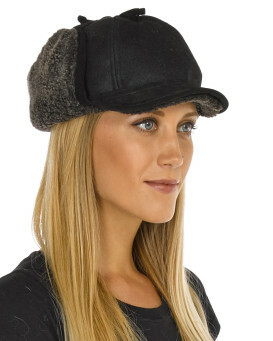 Enjoy being toasty warm wearing our new versatile natural sheepskin captain hat. 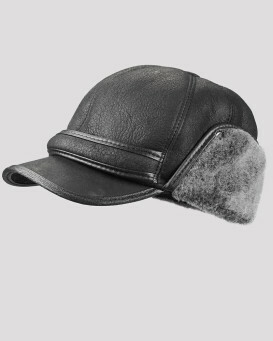 Made from the finest sheepskin, this hat will last for many years to come. 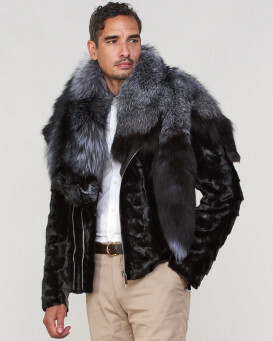 Flaps can be worn tucked inside or down for added warmth. As well as providing a luxurious soft feel against your skin due to the natural lanolin in sheeps wool. Sheepskin wool is natures most resilient and comforting resource. Its soft and hollow fibers breathe and help regulate body temperature. Air flows freely between your body and our sheep fur, providing the utmost in comfort. "I purchased this hat for a trip to Steamboat Springs, Colorado, where we went dog sledding, hiking and snow snowmobiling and members of my party went skiing. The day we went dog sledding it was 20-22F with some wind and snow flurries. My head was toasty warm! The hat performed exactly as I hoped. 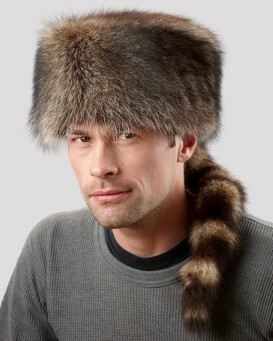 The hat appears well made out of quality materials. I am happy with the purchase." "Received my package today. 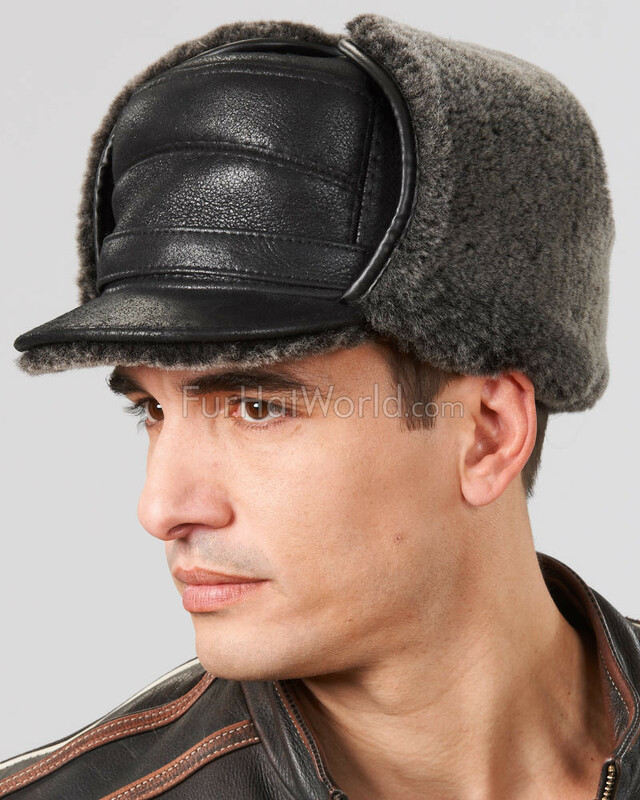 Like the looks of the hat a lot. Fit right out of the box. Very well constructed and looking forward to many years of wear. 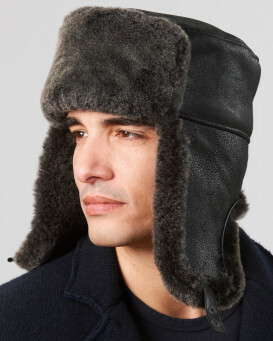 Would recommend this hat to anyone out in the cold weather." 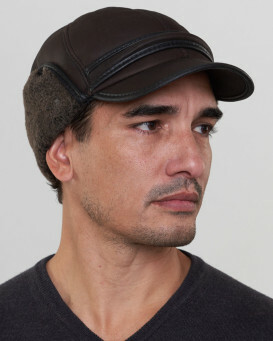 "In Minnesota winters I use this hat everyday and it works perfect the temperature is always cold and this had keeps my head warm I recommend this hat because it works it's the best winter hat I ever bought"
"I use the hat for dressier events, like the high quality of the materials and workmanship. I am very satisfied with the product. I am pleased with the website and the promptness of receipt of the order." "Excellent product , i think it is alittle on the smaller size. I normally take Medium but probably would of been better with a large. I would highly recommend this product and company." 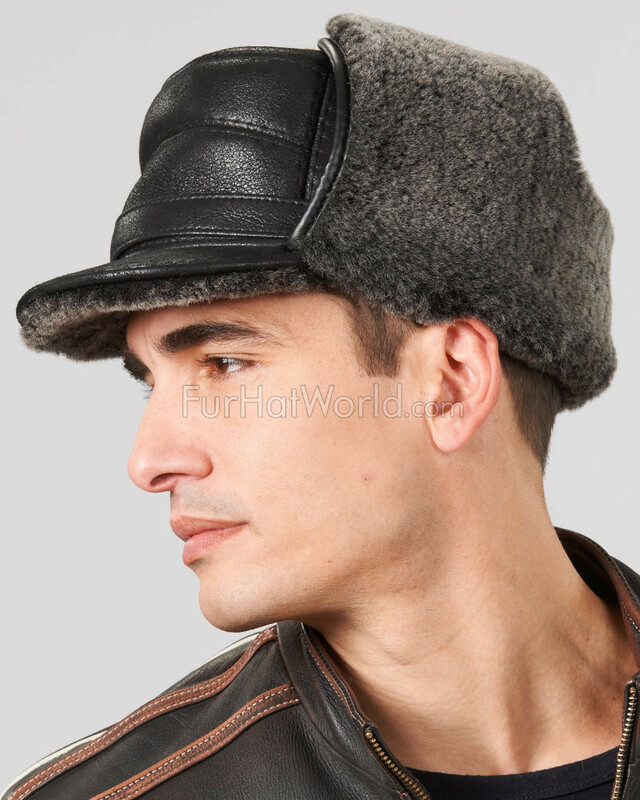 "This hat is the kind I decided to use in winter weather, because as a senior I have taken on a job delivering newspapers. 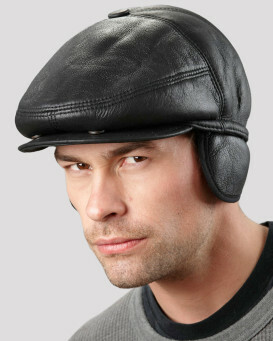 I needed one that was rain-resistant and windproof and warm. 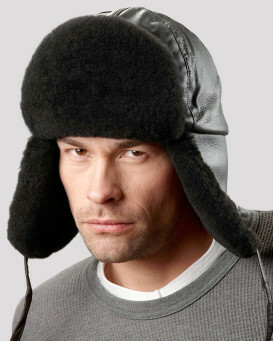 Even though the hat bore an XL tag, it was too small for my head, so I returned it and ordered a similar kind, at 2XL. I'll keep ordering until I get the correct size. 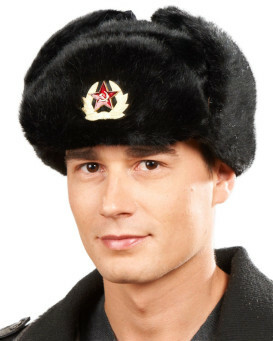 I think the workmanship in your hats is first rate." David from USA , Connecticut. "Order arrived on time , great look and great quality of product. Thanks a lot." "It is just as advertised. 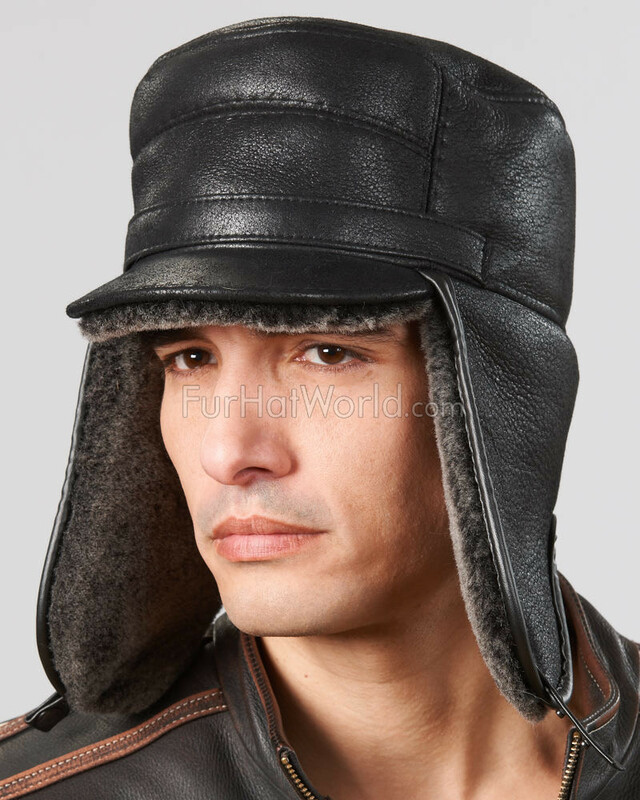 Very warm and it fits the head very well. I would buy it again if anything happened to this one. And the price is right. 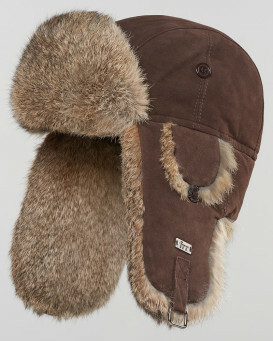 Other hats that are not as good quality cost more."